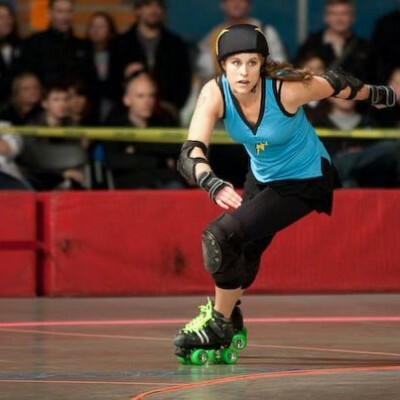 With the end of the WFTDA and MRDA playoffs upon us, most athletes are heading into an off season. Off season is essential for recovery, as it allows athletes an opportunity to rest their bodies and minds after a high intensity and sometimes stressful season. So how can you make the most of your derby off season? Never fear, we’re here to help! Making that switch from tournament season to an off season can be difficult for some. Most athletes and teams can easily shift focus from preseason training, to regular season, to tournament season if they have one. But there’s just something about the off season that can make it harder to make a switch. Establishing an off season mindset will allow you to shift your focus towards rest and recovery. …But it can be hard to attain that mindset if you’re not sure how to approach your down time. Some athletes are scared to slow down, out of fear of losing the gains they’ve made. On the other end of the spectrum, some see the off season as a break from doing everything and slip into a sedentary lifestyle. In reality, you need to find a middle ground between these two extremes. During the off season you need to still see yourself as an athlete. For those who tend to laze about, this means reminding yourself to continue to eat well and to be active. Activity-wise, look at it as a break from regular training and competition, not a break from every kind of activity. Off season doesn’t mean you can’t skate at all, it just means you should change your routine to allow your body and mind to rest. Most athletes understand the concept of resting their bodies, especially when it involves recovery and healing. But lots of us fail to understand how important an off season can be for our minds, too! When we follow a strict schedule of strength and conditioning, team practices, team meetings, etc. etc., our minds are working just as hard. Being able to step away from the routine will give your brain a chance to relax and reset too. So, you’ve established your off-season mindset: you’re an athlete taking a break from your regular routines, to rest and recover your body and mind. Now it’s time to make the most of this time! As you move away from your regular training routine, it’s important to view this moment as a full reset of your body. There is no reason why you should be pushing through an injury, especially in the off season. Your body is a machine, so it needs to be updated and maintained if it still wants to run at 100%. This could mean seeing a physiotherapist for an injury, a chiropractor to get realigned, or a masseuse to remove the tension in your muscles. 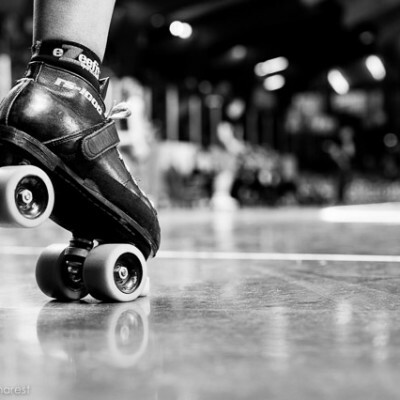 Whatever you choose, the bottom line is this: take care of your body because roller derby is not a gentle sport. Taking care of your body can also have a positive impact on your mind! If you’re on an MVP training plan on the RDA Training App, you can always message Booty Quake to have her swap you into an “active rest” program while you’re in your off season mode! You can review your past season by watching game footage, recall on your memory, or even use game stats. Reflect on what were your strengths and what aspects (skill or strategy) were your challenges. Since the season is over, it’s important to remind yourself that you cannot change what happened last season, but you have full control on the upcoming season. The foundation for next season starts in the off season. That’s why it’s a great time to go back to fundamentals. Some of the common “back to basic” training that you can revisit in the off season is perfecting your stride and improving your agility/footwork, since you don’t have to spend all your time working on strategies and teamwork. You can even try new skating activities to help improve certain fundamentals skills, like jam skating or speed skating. Taking a break from routine is very important for athletes, as it helps to reduce burnout. When you’re taking a break, make sure to engage with friends and family. The connections and relationships we have in our lives play an important role in our health. Not only do we enjoy the company (hopefully! ), but these relationships also provide us with an escape. The stronger these relationships are, the stronger your support system becomes. Sometimes as athletes we forget to stay connected to family and friends during the peak of our season. It’s important to grow, and in some cases rekindle, these relationships. Take some time at the beginning of your off-season to get into your off-season mindset, and plan out an active, yet restful off season! Think of all the nice things you might do for your body (yoga, massage, swimming? ), and the time you can spend outside of an arena, maybe with family and (gasp!) non-derby friends. 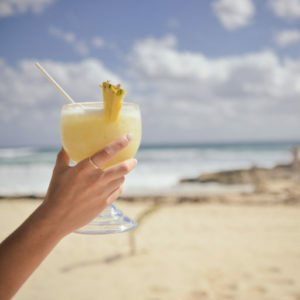 Enjoy new activities and the company that you share it with. Stay fit and active, and have a wonderful off season. Got questions about how to make the most of your time? Ask me in the comments below!